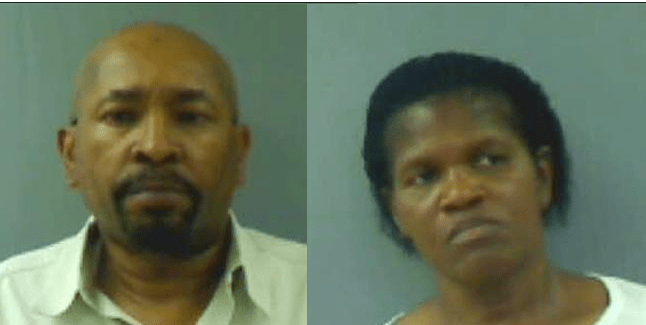 Three boys, ages 12, 11, and 8, were tortured by their grandparents, James and Cheri Crawford. The boys had been pulled from school to be homeschooled. The boys had come to live with their grandparents after their father was murdered and their mother, a drug addict, abandoned them. The boys were starved and forced to eat spoiled food; they often had only a bucket for a bathroom. They were forced to do heavy manual labor and to stand at attention outside for hours at a time. The oldest boy was imprisoned in a trailer for a year and a half and spent most of the time blindfolded, resulting in a forehead scar. The 11-year-old was forced to shock his older brother with a shock collar and also had to sleep outside in a storage shed. The abuse came to light when a neighbor witnessed Cheri abusing one of the children and called the authorities. Cheri and James Crawford entered Alford pleas and were sentenced to 8 and 7 years in prison, respectively.